Kigali accuses its neighbor of serving as a breeding ground for armed groups behind attacks which were carried out in some Rwandan localities bordering Burundi. Bujumbura denies accusations. He says “when your neighbor accuses you of being a retreat zone of armed groups that attack him, you must be on the watch for the defense of your borders and sovereignty because it is your mission”. Everything started with the press release issued by the Rwandan police on July 2nd. According to the statement, a group armed with rifles attacked Cyamuzi village, Nyabimata sector in Nyarugusu district. “They attacked from Nyungwe forest from Burundi and pulled back to the same direction. Two weeks earlier, the police had reported an attack by an armed group that killed two people, injuring three others. The same armed group attacked Rumenero trading center before retreating into Nyungwe forest bordering Burundi. Since then, the Rwandan government has attached much importance to peace and stability of the country. It does not want to hear about insurgent groups in the country. In a statement issued earlier this weekend, on the eve of the arrival of the Chinese President Xi Jin Ping, Rwanda government denied reports of armed incursions and the presence of rebel groups in the country. Instead, it prefers to speak of ‘bandits’. Only the group called the Rwandan Movement for Democratic Change (MRCD) “has claimed the recent attacks in some villages in Rwanda. In an interview with BBC radio on 16 July 2018, FLN spokesman Callixte Nsabimana, known as “Sankara”, claimed that his army is conducting military operations against the Rwandan army in southern Rwanda. He said it has been about one month that these fights have been taking place in the area. 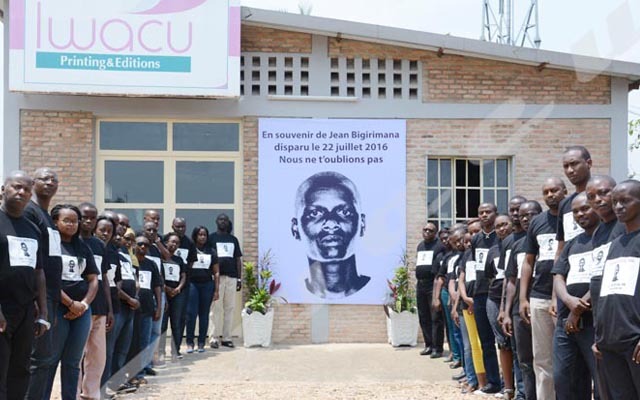 To the question of whether they attacked from Burundi as declared by Rwanda, this young survivor of genocide against Tutsis denied it categorically. Rather, he argued that the rebels are in several parts of Rwanda, but mainly in Nyaruguru and Nyamagabe districts, specifically in Nyungwe forest. For some time, there have been waves of expulsion of Burundians from the Rwandan territory. Administrative sources speak of more than three thousand Burundians repressed since June. Rwandan authorities talk about people in an irregular situation. On 17 July, Rwandan police raided the Mahama refugee camp for a surprise check and search operation. A refugee on the spot spoke of hundreds of undocumented people who were caught by the police. This followed reports of infiltration by those who collaborated with the rebel group behind the recent attacks. Burundi government for its part sent a delegation to Burundi-Rwandan border from Gasenyi Nemba on Thursday, 19 July. The secretary general of the government, the spokesman for the president, the Ministry of the Interior and the Ministry of Security were asked to inquire about the situation. Expelled people and escapees from the Mahama camp were on the spot. “UNHCR does not allow us to return, that’s why we prefer to escape,” said a sexagenarian to the journalists present on the scene. The secretary general of the government has lambasted UNHCR Rwanda, which he says is turning a blind eye to the ill-treatment of Burundians in Rwanda. This UN organization is accused of blocking any return movement of refugees. “All this happens while this organization was bringing vehicles to the border to welcome Burundian refugees to Rwanda when they fled in 2015,” he says. At this stage, it is difficult to predict the outcome of these tensions between the two countries. For some, the situation is alarming and the crisis could engulf the sub-region. Others believe that this is more of a problem between Rwandans themselves. In any case, Burundi government does not intend to stop there. 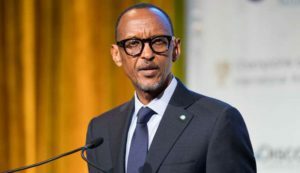 It promises to soon issue a statement on the Rwandan case, which will either ease the tensions between the two countries or further escalate the situation. Wait and see.